이 기사는 다음 글을 발췌한 것이다. 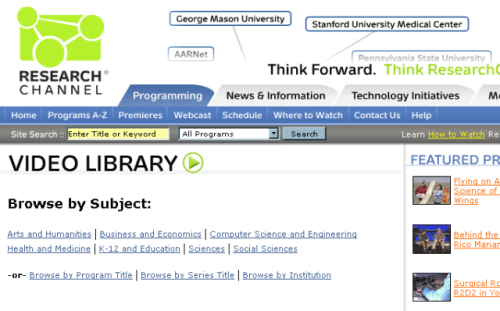 How to Live Online.com, "25 Essential Web Resources for Researchers and Students," 2007. 10. 22. FindaPhd is the lucky place where you find fellow geeks and nerds, a pretty busy Postgraduate Forum provides advices and opinions on your queries about research life and how to find funds, scholarships. 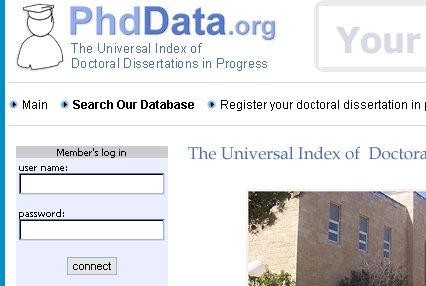 Upon the success of this site, two new sites FindaMasters and FindaPostDoc have been started and serving the student researchers actively busy exchange of advice and opinion on PhD life. You know Google book search exists, but have you tried citing from those books. Often, I had to produce a write-up, essay or the last-minute paper for a conference. When I dotn have enough time to pull out a strong reference from books, I issue a Google book search, up comes the results from book with snippets view showing paragraphs and texts that I were exactly looking for. I paraphrase them and correctly reference them. Neat hack. If you are looking for any kind of book, whether it is rare or out-of-print, specific edition - You will find it at Bookfinder . 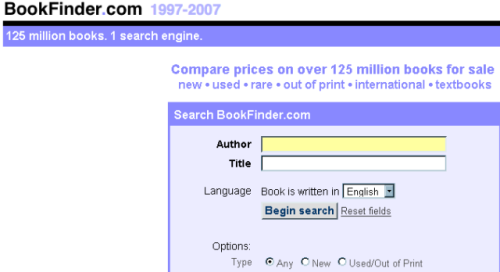 Over 125 millions book titles to search, you can actually buy new and old-books from this site. They achieve by doing a search through every major catalog available online. Mynoteit is a web service that you need to manage all writing works at uni. 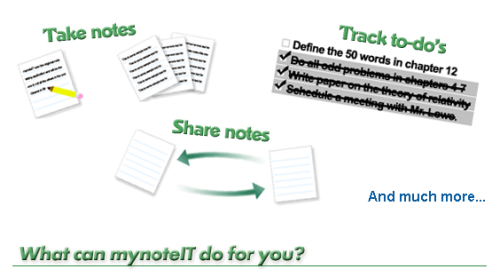 With mynoteit, you can upload office documents, scanned notes and audio lectures at one place. You can access them at will with even with your mobile. You can join groups of students who are taking the similar subject all over the world. You can bookmark your assignment dates, deadlines at one place. Scirus is a popular search engine among research community. Scirus searches for scientific information with its comprehensive trusted network of article bases like Science Direct, PubMed and other journal databases. The results are highly relevant and you can choose the keywords used by authors to search for relevant scientific domain. You get the results in three categories, journal results, preferred web results and web results. If you try Scirus once, you will stick to it. It saved me lot of my research time. Australia is probably, the only country where every research student is asked to deposit a digital copy of their theses to a national database for a common cause. The Australasian Digital Theses Program is very popular among the researchers as every university in Australia is participating in it. A similar initiative is being carried out at the international level, which is PhDData.org - a 5 year old program which aims to collect the research theses from the universities around the world. There is also another initiative named "Networked Digital Library of Theses and Dissertations " that looks promising as well. It's a pain to follow the style guide of various journal styles when you are writing a paper. Tools such as EndNote help in maintaining your database of references. If you are looking for an online tool, then Ottobib is a really useful. You can store, organize your references, and Ottobib will format it to a style when you need. 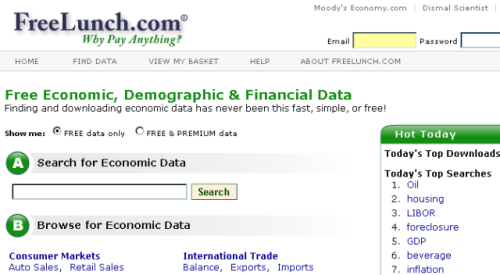 There is another web service that does a similar job , which is Easybib . Monster has a special site Phd jobs that lists research oriented jobs. 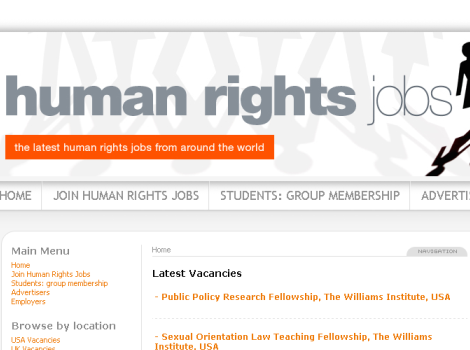 There are sites where you can find Policy jobs , Political jobs , Ethical jobs , Market Research jobs , Museum jobs , PostDoc jobs , Law jobs and Human Rights jobs . All these sites provide world-wide listings of opportunities specific to researchers. The benefits of Google Docs are obvious, you can maintain your documents and edit on the run. Particularly useful when you are traveling for field visits and you do not have access to your favourite Desktop Office applications. I used to upload a copy of my thesis chapters in Google Docs and share it with my supervisor. He would comment and add suggestions. If you are thinking of developing a document with your peer researchers - across boundaries, you have to use this. No more copying drafts, final versions and confusions on which one is what. 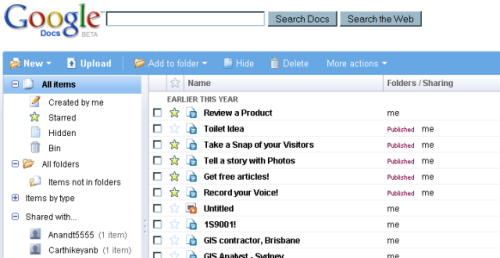 With the added spreadsheets and presentations, it is a cool collection of tools for storing documents on the move. 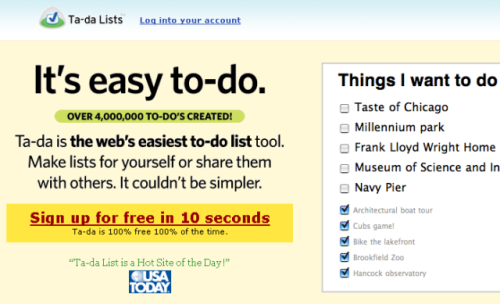 Tadalist is about having a to-do list on the web. You can share between your supervisors to track your progress and communicate with your fellow researchers to meet the research deadlines or to organise a holiday. We are researchers, so what. We need fun, right? I have seen no other humour site that caters exclusive to researchers and PhD students life. PhDComics is awesome because, the site was started by a student and has plenty of cartoon strips on any conceivable aspect of Phd life. 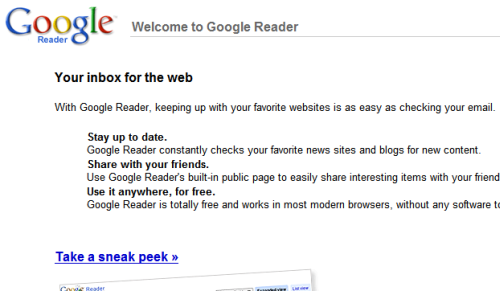 An easy way to track all the favourite blogs / research web sites in my subject is to use Google Reader . I use the ‘Star’ function to mark the essential posts, and use them later. A thousand eyes are looking for me and blogging things that are important and I follow them at one place with my reader. Great help ? is it not? Research channel is a site that offers videos on various research topics. Research Channel functions as a nonprofit media company with a mission to connect the world research community with latest developments, insights and discoveries across the globe. Anyone can watch the videos for free. But, if you are a researcher or research organisation who wish to contribute video content, you have to apply for a membership to the research channel. All the video submissions are strictly moderated. 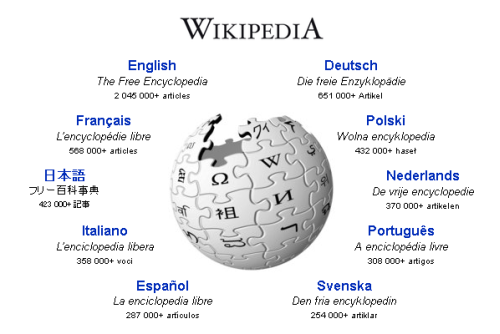 Often, the power of Wikipedia is grossly under-rated by the research people, who dismiss it based on the credibility. Well, that is an acceptable fact but from Wikipedia, you will get to know about a human view of a topic. You may get to know the latest happenings or the first hand information on a cutting-edge technology in your field (equivalent of gossips in the film industry). 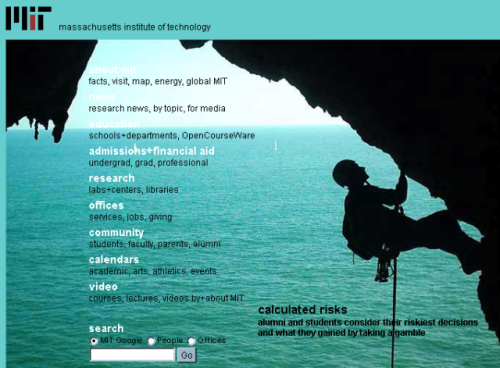 Massachusetts institute of technology maintains a comprehensive web portal on the current research happenings at MIT and covers news and research events that affect humanity. The research covers any conceivable topic under various categories . 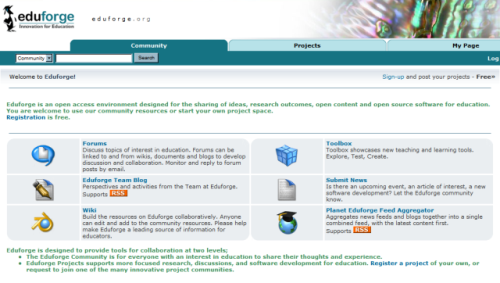 Just what Sourcefourge did for a programming and application development, eduforge does it for research community. It provides a free, open access to share ideas, form collaborative research groups, content and software development to solve specific research problems. 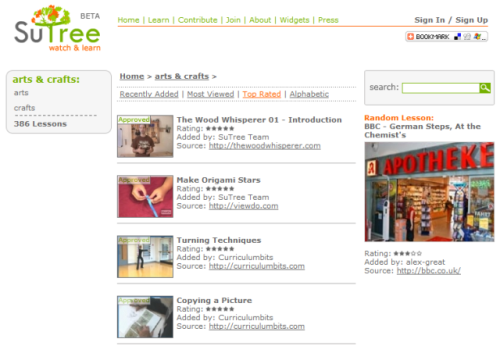 SuTree is a YouTube style video site for Do-It-Yourself projects. You can watch videos and learn rather than reading plain texts and procedures. You can learn something new, every day. SuTree does not host your videos, users host them on youtube or Google videos and provide a link and embed the videos here. These videos are voted by the community and the editors hand-pick them and monitor to keep the scum out of the site. 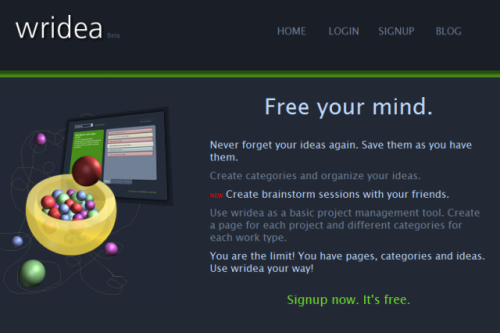 Wridea is the place where ideas get into shape. You can record your ideas, browse others' ideas, rate them, improve them and what not. 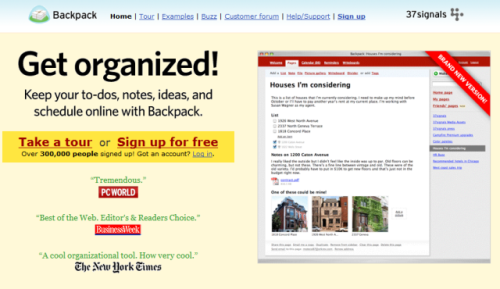 The design and performance of the site is awesome and you can create unlimited pages for free. Liberate your ideas and watch them grow. 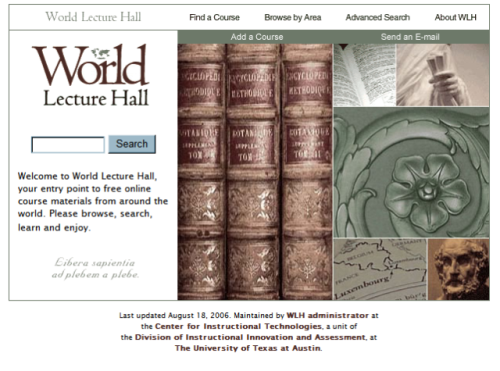 World Lecture Hall is the place where you can find course materials developed by the teaching faculty around the world in almost any language. Some courses are only available online, but most of them can be downloaded for offline use. It is a great collection of lectures - a good bookmark. Academic Materials can also be found at this blog post - 134 free academic podcasts organised by topics. 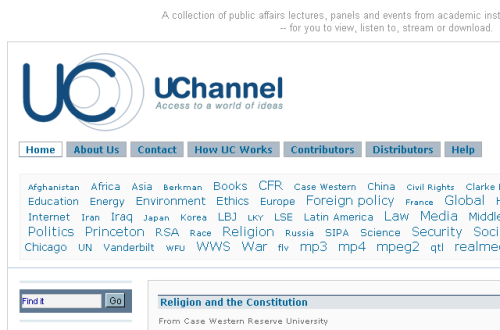 University Channel is another directory of lectures (videos, audio and text presentations) developed and hosted by Princeton university. it not only lists the academic lectures and presentations, but also some of the key public affairs lectures, panel discussions and events from the best industrial conferences and academic institutions all over the world. You have to experience Backpackit to believe it - this site will be tremendously helpful for keeping track of your research developments. You can track your tasks, references (who said what - over phone / email), appointments, action items etc. If you are looking for an efficient organizing tool, this is the one for you. If you are looking for a tool to create and organize your thoughts and ideas, mind maps are the best way. 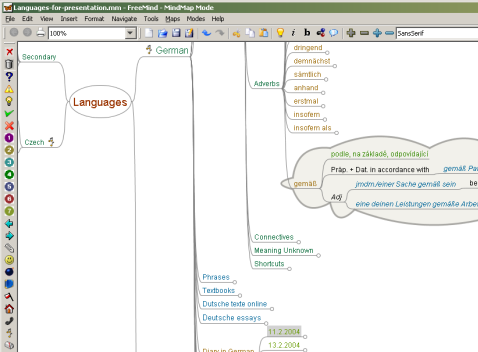 With freemind - a java based open source program, you can develop complex yet, easy to organize mindmaps. Citeseer - Massive resource for papers related to Computer Science. Tree of Life - Large Biology project that aims to organize the evolution of life. Paper of Record is the largest newspaper archive on the web. You can get snapshots of news articles from leading newspapers of the world from pre-1600 era to the current date. You can search through the archive and download the clips as images (gif). You have a quota of 250 mb every day. Refbase is the place where people are sharing their citations and organising them at one place. You can download a copy of the refbase on your PC and connect to the server periodically to update them. Also try CiteSeer for searching through millions of citations. With ThinkExist , you can find a nice quotes for your thesis and papers. The quote is accompanied by the essential information about the author/speaker which will be useful to reference. Find anyone's biography here - you can search by a keyword, birth date or place of birth.